A Night at the Spa! The Signature Moms crew celebrated our one year “blogiversary” with a wonderful night at Tranquil Escape Day Spa on Crescent Street in Brockton last week. Although most of us would have been happy hanging out in the parking lot for a night without kids, we were more than pleased to be treated to the services at the spa. Our night began with a warm welcome from the staff at Tranquil Escape. After filling out a client questionnaire about our allergies, spa experiences, and more, we were immediately whisked down a long hall to the changing rooms. Robes and slippers awaited us and wasn’t it nice to see an assortment of sizes available since these mamas come in all shapes and sizes! Our spa hostess led us to the Tranquility Room, a beautifully calm and relaxing area with a warm fire place that created a rosy glow over all of us. The Signature Moms caught up with each other, although thanks to Facebook, each of us agreed that we knew just about everything going on in each other’s lives. One by one, our assigned technicians called our names and led us to our treatment areas. 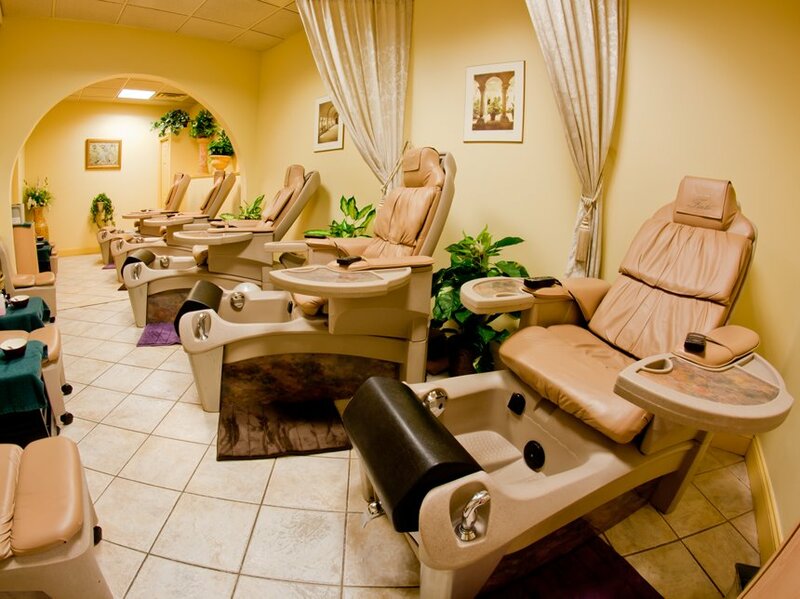 Several of the Signature Moms chose a spa pedicure and boy were they treated! Stress melted away as the technicians massaged, clipped, filed and polished their piggies to perfection. While those mamas were getting primped, several of us chose to receive a facial, including this Mama! I can tell you that I was more than pleased with my facial. I have not had a facial in years and based on my experience this night, I think I deserve at least 2 facials a year from now on. From the amazing treatments to my face, to the calming hand, arm and foot massage, I’m hooked and will definitely be back for more. Always one to buck the system, one of our mamas decided on a massage and was uber-relaxed after the treatment. It was a hit, for sure! 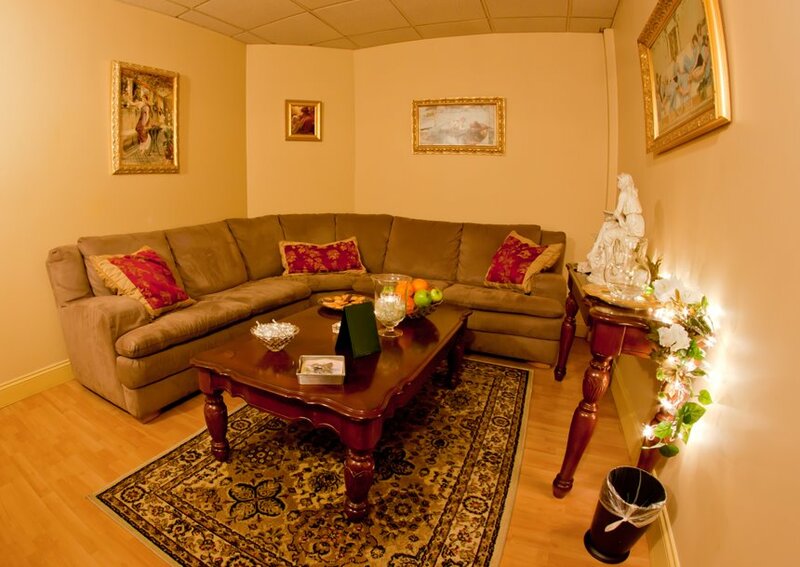 As each of us finished our treatments, we were led back to the tranquility room to wait for the others. 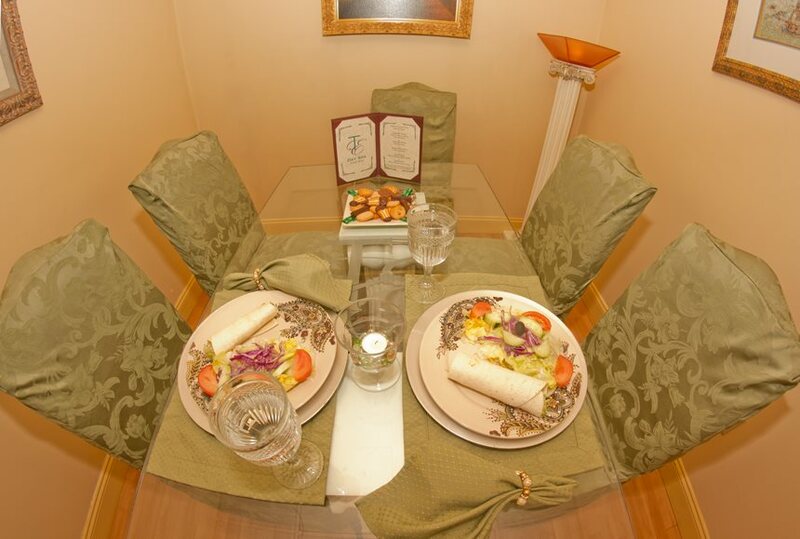 Soon enough, we were shown the way to the dining room for a delicious dinner and great conversation! I find it amazing how close I feel to these women who I barely know. New friends for sure! I know I can speak on behalf of the all of the Signature Moms by saying THANK YOU to Signature Healthcare and Tranquil Escape Day Spa for an amazing night! This year has been a great one for the blog and we truly appreciate the opportunity to write for Signature Healthcare! 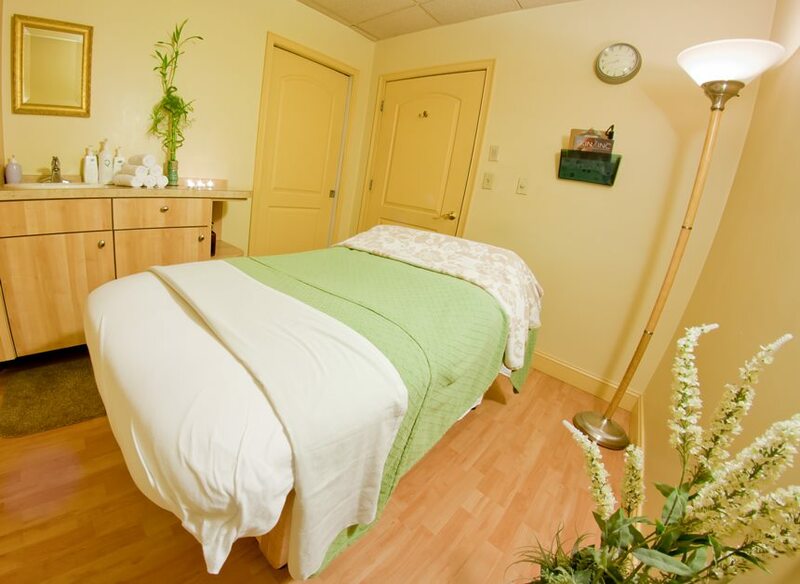 Interested in visiting Tranquil Escape Day Spa? It comes highly recommended by the 7 Signature Moms! Check out their Facebook page: Facebook.com/TranquilEscapeDaySpa and tell them the Signature Moms sent you! You said it all (well, all that wasn’t just between us moms at dinner – 🙂 ) It truly was a good evening. I am thankful for the opportunity to relax and share it provided. Thanks to those who treated us and to fellow ladies for enjoyment together. Wow! I’m envious! I would really want to go to the spa some time in between my hectic days, too. The pictures look amazing. It’s already making me reach for my planner and writing my schedule for a session in block letters. LOL. How about the cost? Is it affordable? This is something I don’t do at all and would like to start but I feel as a stay at home mom to a 3yr old and 2month old, who’s husbnad works 12+ hrs a day, 6 days a week. It’s alot harder for me to find time to do anything for myself. Also I should mention I don’t drive so it makes it 100% more difficult. My ds is a night owl always has been he doesn’t go to bed til 2am we are working on getting to go to bed earlier but with DH schedule it is hard because he wants to see his daddy so I let him stay up till DH gets out of work otherwise he would never see him and that’s usually around 11-12. I never learned how to drive and am working on that so I can get my drivers license soon. So whatever time DH is off of work is used for taking the kids to their doctors appts and other errands such as groceries, ECT as well as taking kids out to do activities as a family. As a sahm I never have a babysitter because I’m always with them my dad works just as much as my husbnad does so I’m not about having my kids over there bugging him ad his gf who is a teacher they are tired and I will not have my kids over there bugging them, plus I’m sure sheets tired of being around kids all day. DH parents I refuse to leave my kids with because they don’t follow anything I say to them. If I ask them not to let ds run in the street they blow my off and let him do it anyway just so they don’t have to get mad at him and hear him cry. So no I will not leave my kids with them so I can get my hair done or anything else. DS will start school next yr and I have been looking to go back to work so if I find a desent job and put dd in daycare then I can start thinking about making time to do things for myself. if I don’t find a job it will just have to wait another 3yrs til dd is in school as well. But at least once I start driving I will be able to take the kids to appointments on my own and start making my appt on days he is off so I can go and he can watch the kids instead of all of us going. So for now I only get my hair cut like once a year and if I get my hair dyed I do it myself but even that is rare because I don’t have time for that with two demanding kids and housework. Wow! I’m envious! I would really want to go to the spa some time in between my hectic days, too. The pictures look amazing. It’s already making me reach for my planner and writing my schedule for a session in block letters. LOL. How about the cost, Is it affordable? Danielle is your DS still breastfeeding? Is that why he is still gnttieg up three times a night? I formula fed, so my girls were only sometimes gnttieg one extra feeding during the night (usually just when they were having a growth spurt). I know BF babies may need the night feedings longer.My oldest started gnttieg her teeth at about 9 mos and her sleeping habits were horrendous after that! I blame myself bc I did the whole feed her every time she cries, rocking and burping her to sleep in a pitch black room, and ran to her the moment she made a peep. She never learned how to soothe herself or fall back to sleep on her own! My youngest was STTN by about 7 mos old, I would jut lay her down when it was bed time and she would just fall asleep she was such a shock to me! Still goes to bed at 7:30 and will sleep right through until I wake her at 9!! LOVE HER! !Momof2 how old are your kids? Do they go with their dad sometimes? Mine are 3 and 2. I work a normal 40/hr work week, but tack on an hour and a half commute each way. Also, only get a 1/2 hour for lunch so appts and workouts are not going to happen during that time. DH works pretty late so I’m the one handling the dinner and after daycare stuff for everyone. I also still carry the guilt about being away from the girls all week and feeling like they deserve all my extra time. I’m still trying to find a balance!